THE HOUSE OF BEJEWELED- the place all divas go in the ATL for the hottest hair styles and even hotter gossip. 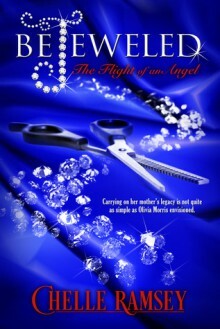 OLIVIA - the owner of The House of BeJeweled hair and nail salon faces the challenge of inspiring the clientele while helping her team of talented stylists pick up the pieces of their broken lives. Paired with their constant drama, she must now fight to keep her heart protected from the one man who has always laid claim to it. ANGEL - has put up with a lot from the man she loves. Is his latest betrayal the last straw or can love conquer all? Beware the rage of a woman scorned. Stop by for a visit and get your hair cut or colored at BeJeweled, where the scissors are sharp, but the tongues are sharper.